Helping your child with PHONICS! Phonics works best when children are given plenty of encouragement and learn to have an appreciation of books and reading. Parents play a very important part in helping with this. Phonics is taught daily throughout Foundation Stage and Key Stage 1 and it is broken down into phases to make learning structured and accessible. recognise the sounds that each individual letter makes; identify the sounds that different combinations of letters make - such as ‘sh’ or ‘oo’; and blend these sounds together from left to right to make a word. The remaining 7 letters of the alphabet, one sound for each. Graphemes such as ch, oo, th representing the remaining phonemes not covered by single letters. Reading captions, sentences and questions. Tricky words are those words that can not be sounded out and have to be learnt by sight. 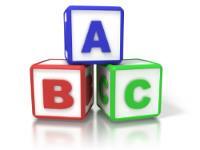 Look at the letters and sounds website to find all the tricky words for each phase. The link below shows a video of tricky words being taught. The Phonics Screening Check is meant to show how well your child can use the phonics skills they’ve learned up to the end of Year 1, and to identify students who need extra phonics help. The Department for Education defines the checks as “short, light-touch assessments” that take about four to nine minutes to complete. The checks consist of 40 words and non-words that your child will be asked to read one-on-one with a teacher. Non-words (or nonsense words, or pseudo words) are a collection of letters that will follow phonics rules your child has been taught, but don’t mean anything – your child will need to read these with the correct sounds to show that they understand the phonics rules behind them. This video demonstrates how to pronounce the sounds of the English Phonic Code, when teaching children to read with Synthetic Phonics. Includes information about how to make reading and writing fun for you and all your family. It promotes their campaign to make ‘every home a reading home’. It also offers many links to further websites. This website includes top tips for supporting your child’s reading, gamesand activities and e-books to read together. Lots of super games (most free, no need to subscribe) especially great for practising for the Year 1 Phonic Screening test. Some great apps and games to reinforce all phases. As a parent, your involvement in supporting your child’s learning will be a vital factor in determining their success in learning to read!